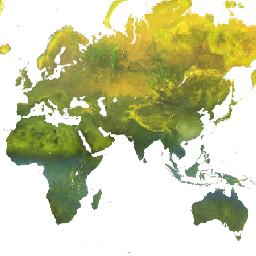 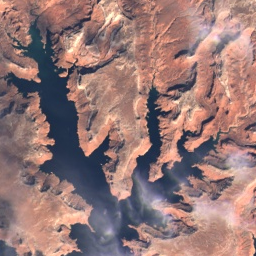 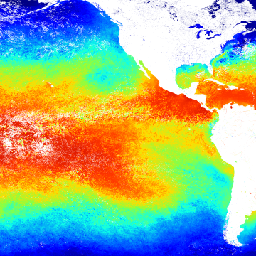 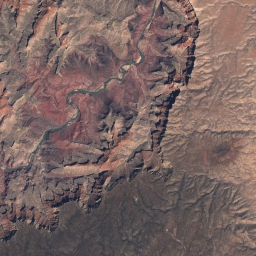 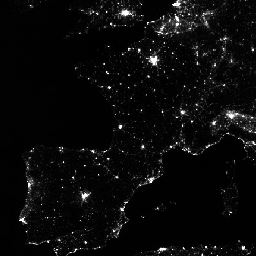 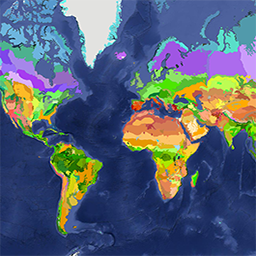 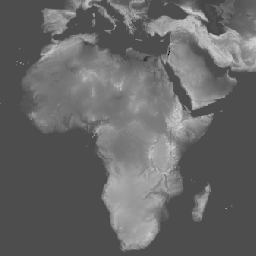 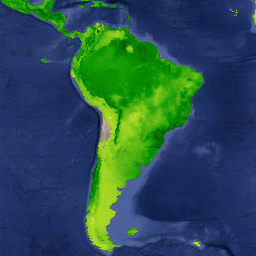 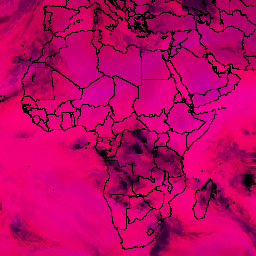 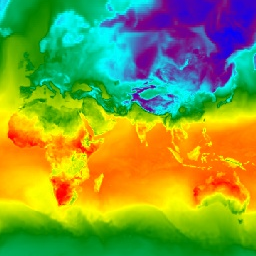 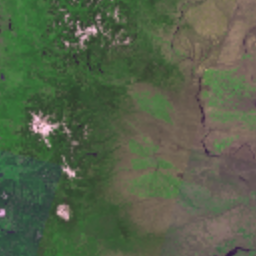 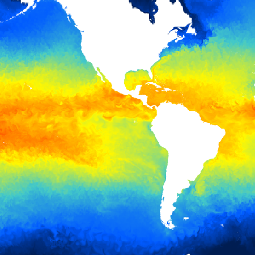 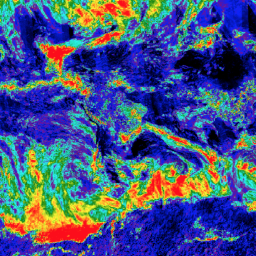 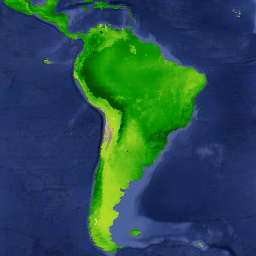 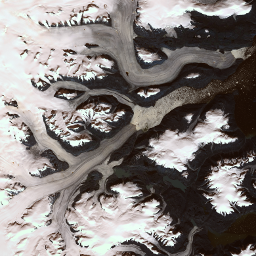 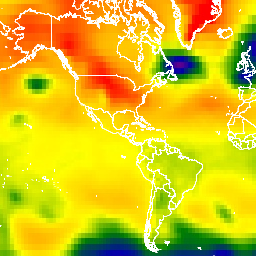 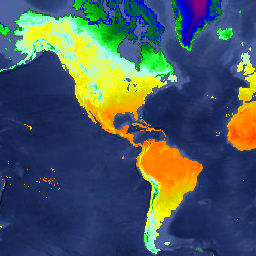 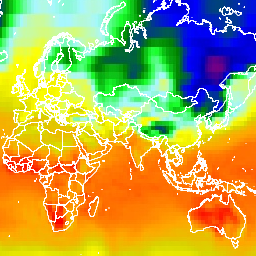 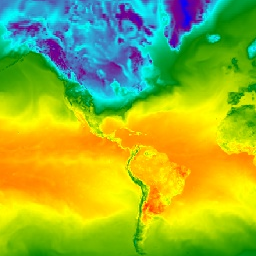 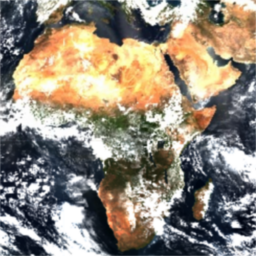 Earth Engine's public data catalog includes a variety of standard Earth science raster datasets. 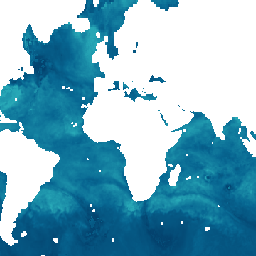 You can import these datasets into your script environment with a single click. 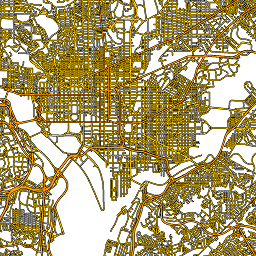 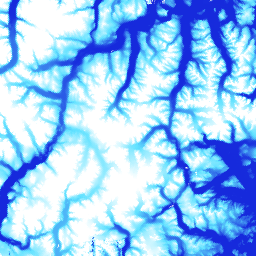 You can also upload your own raster data or vector data for private use or sharing in your scripts. 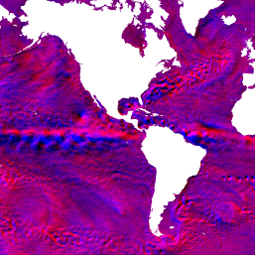 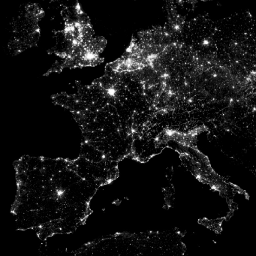 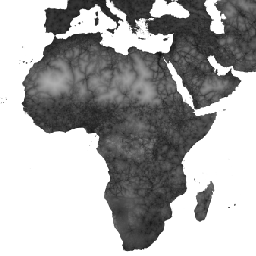 Looking for another dataset not in Earth Engine yet? 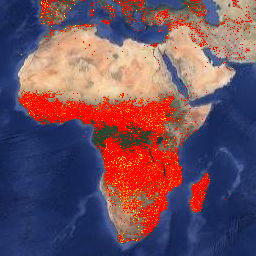 Let us know by suggesting a dataset. 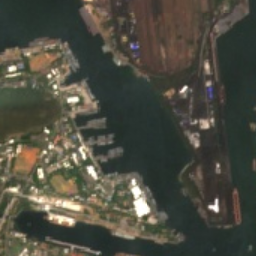 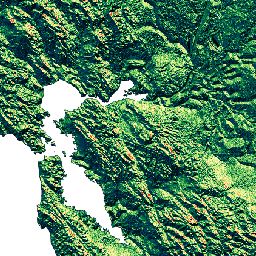 The Shuttle Radar Topography Mission (SRTM) digital elevation dataset was originally produced to provide consistent, high-quality elevation data at near global scope. 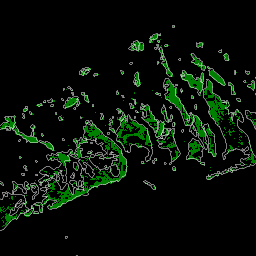 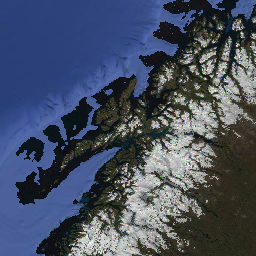 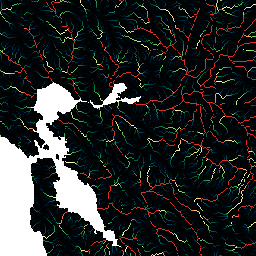 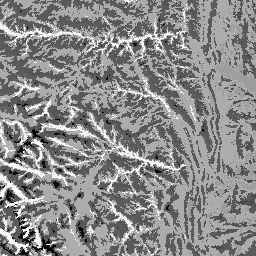 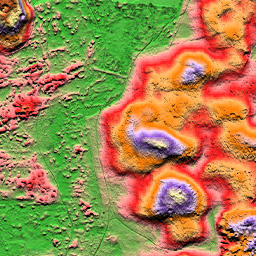 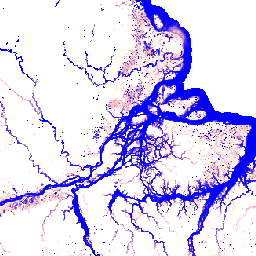 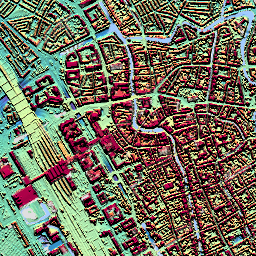 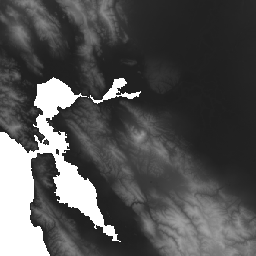 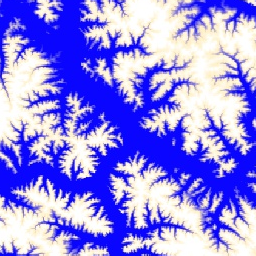 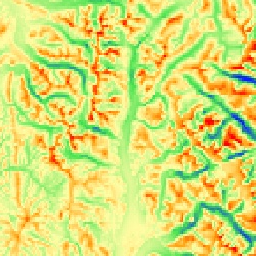 This version of the SRTM digital elevation data has been processed to fill data voids, and to facilitate its ease of use. 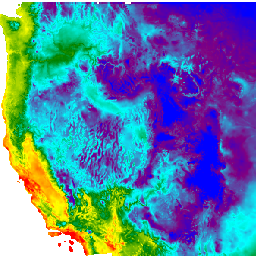 CHILI is a surrogate for effects of insolation and topographic shading on evapotranspiration represented by calculating insolation at early afternoon, sun altitude equivalent to equinox. 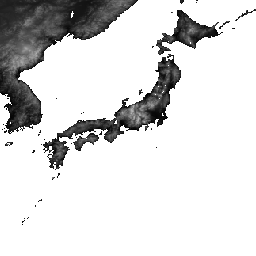 It is based on the 30m "AVE" band of JAXA's ALOS DEM (available in EE as JAXA/ALOS/AW3D30_V1_1). 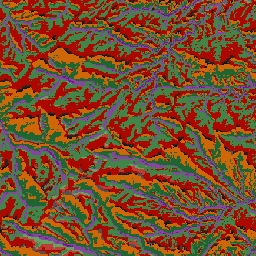 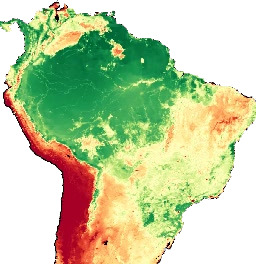 The ALOS Landform dataset provides landform classes created by combining the Continuous Heat-Insolation Load Index (ALOS CHILI) and the multi-scale Topographic Position Index (ALOS mTPI) datasets. 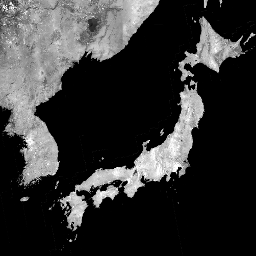 It is based on the 30m "AVE" band of JAXA's ALOS DEM (available in EE as JAXA/ALOS/AW3D30_V1_1). 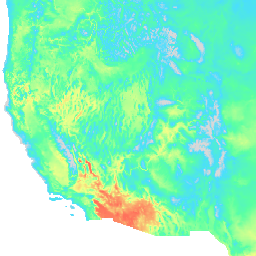 CHILI is a surrogate for effects of insolation and topographic shading on evapotranspiration represented by calculating insolation at early afternoon, sun altitude equivalent to equinox. 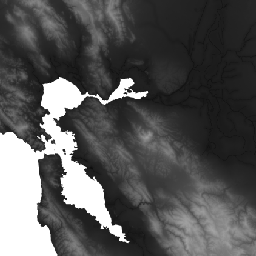 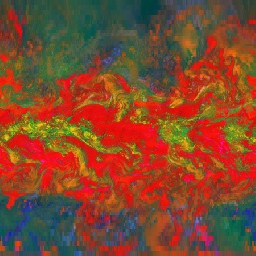 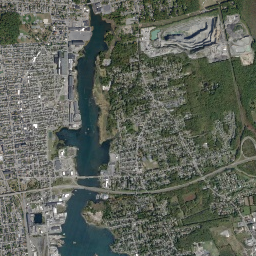 It is based on the 30m SRTM DEM (available in EE as USGS/SRTMGL1_003). 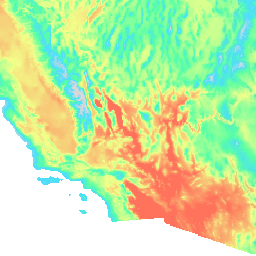 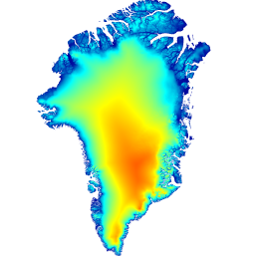 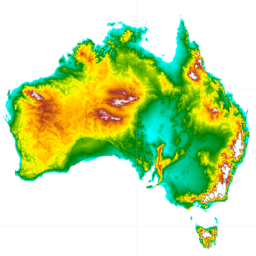 The SRTM Landform dataset provides landform classes created by combining the Continuous Heat-Insolation Load Index (SRTM CHILI) and the multi-scale Topographic Position Index (SRTM mTPI) datasets. 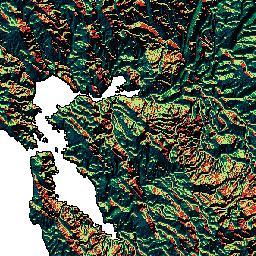 It is based on the 30m SRTM DEM (available in EE as USGS/SRTMGL1_003). 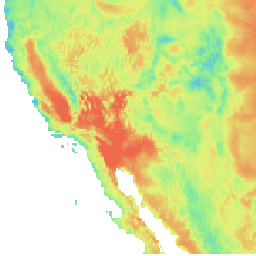 CHILI is a surrogate for effects of insolation and topographic shading on evapotranspiration represented by calculating insolation at early afternoon, sun altitude equivalent to equinox. 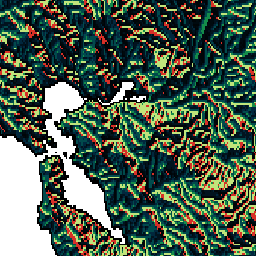 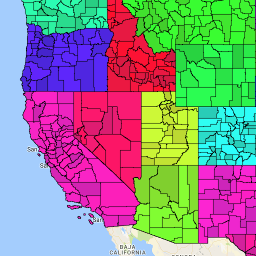 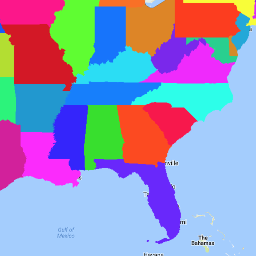 It is based on the USGS's 10m NED DEM (available in EE as USGS/NED). 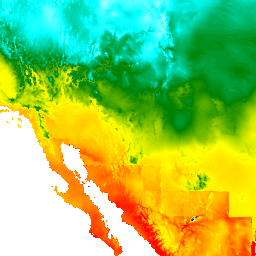 The ALOS Landform dataset provides landform classes created by combining the Continuous Heat-Insolation Load Index (CHILI) and the multi-scale Topographic Position Index (mTPI) datasets. 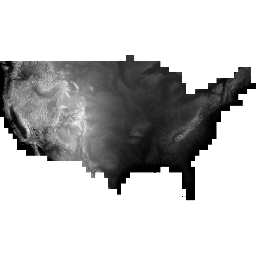 It is based on the USGS's 10m NED DEM (available in EE as USGS/NED). 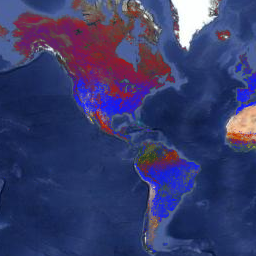 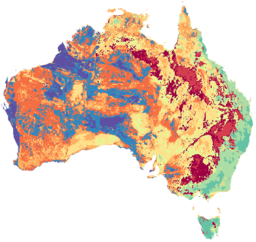 The Lithology dataset provides classes of the general types of parent material of soil on the surface. 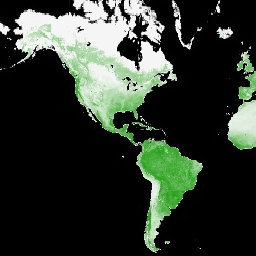 It is not derived from any DEM. 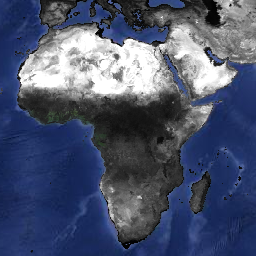 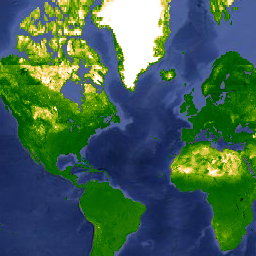 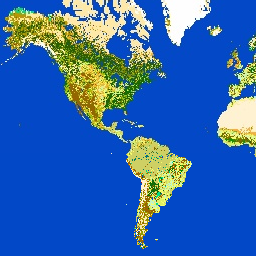 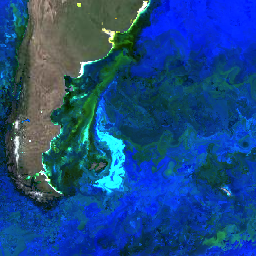 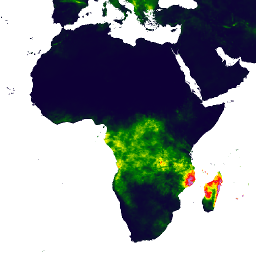 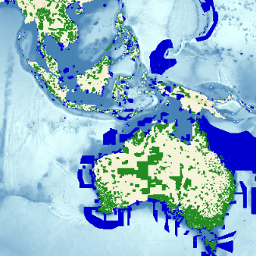 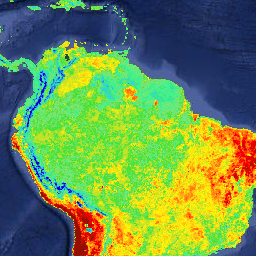 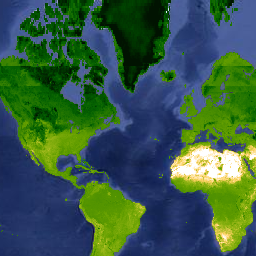 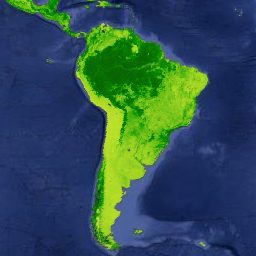 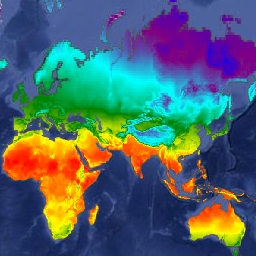 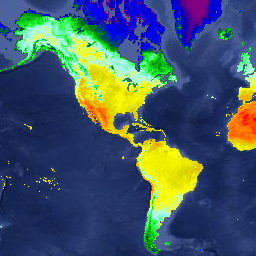 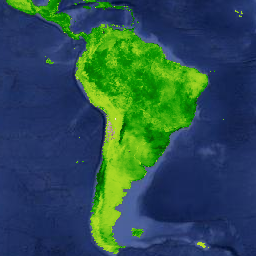 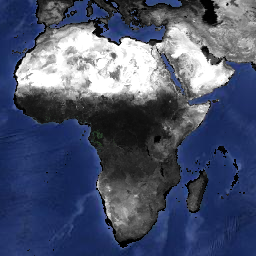 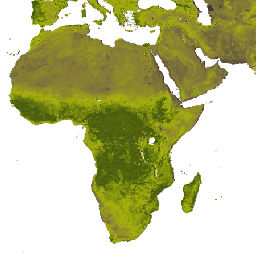 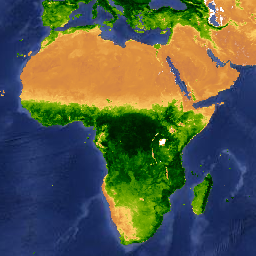 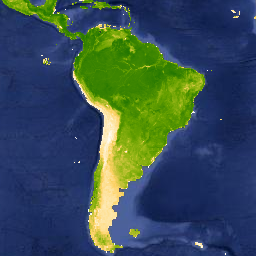 GlobCover 2009 is a global land cover map based on ENVISAT's Medium Resolution Imaging Spectrometer (MERIS) Level 1B data acquired in full resolution mode with a spatial resolution of approximately 300 meters. 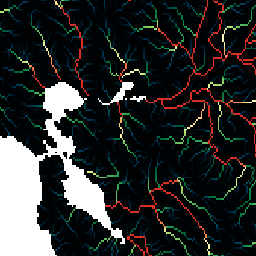 Fishing effort, measured in hours of inferred fishing activity. 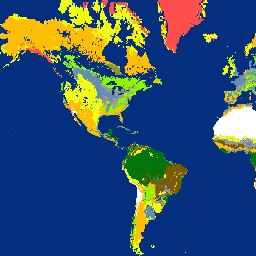 Each asset is the effort for a given flag state and day, with one band for the fishing activity of each gear type. 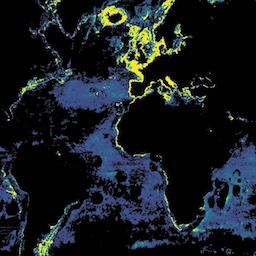 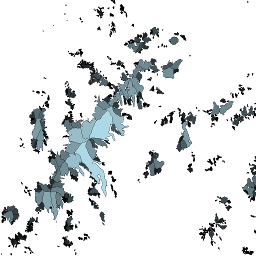 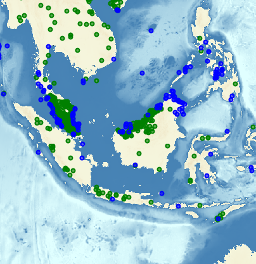 Fishing vessel presence, measured in hours per square km. 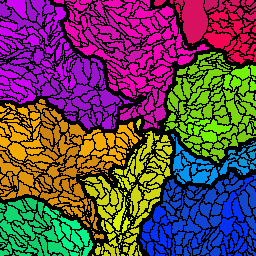 Each asset is the vessel presence for a given flag state and day, with one band for the presence of each gear type. 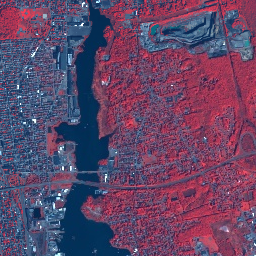 Landsat 8 Collection 1 Tier 1 and Real-Time data calibrated top-of-atmosphere (TOA) reflectance. 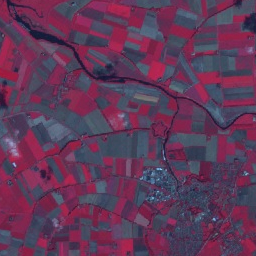 Calibration coefficients are extracted from the image metadata. 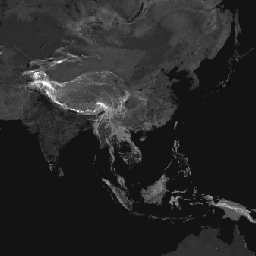 See Chander et al. 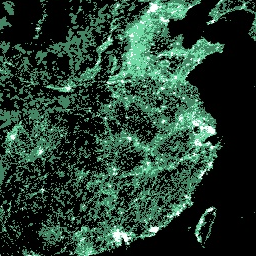 (2009) for details on the TOA computation. 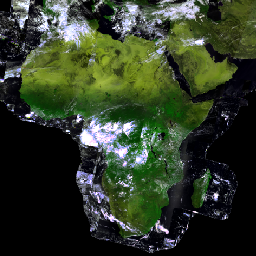 Landsat 8 Collection 1 Tier 1 calibrated top-of-atmosphere (TOA) reflectance. 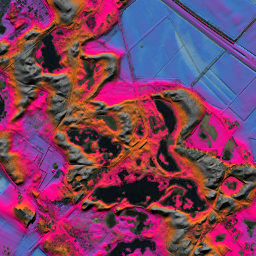 Calibration coefficients are extracted from the image metadata. 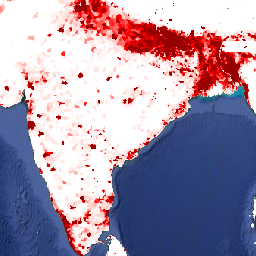 See Chander et al. 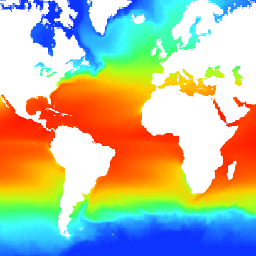 (2009) for details on the TOA computation. 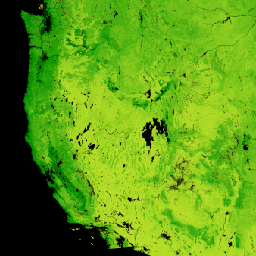 Landsat 8 Collection 1 Tier 2 calibrated top-of-atmosphere (TOA) reflectance. 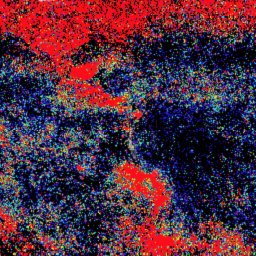 Calibration coefficients are extracted from the image metadata. 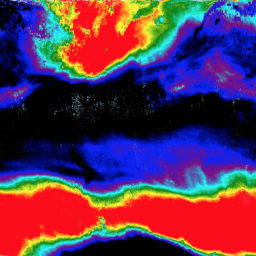 See Chander et al. 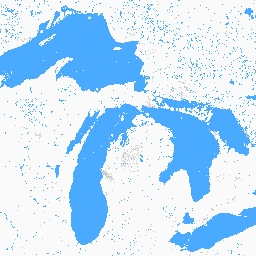 (2009) for details on the TOA computation. 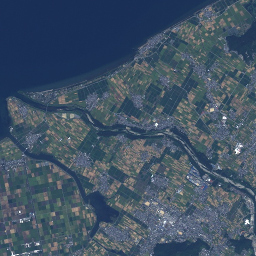 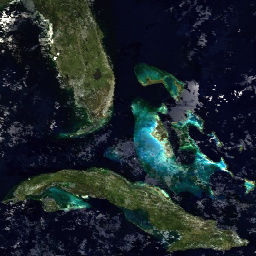 Landsat 7 Collection 1 Tier 1 and Real-Time data calibrated top-of-atmosphere (TOA) reflectance. 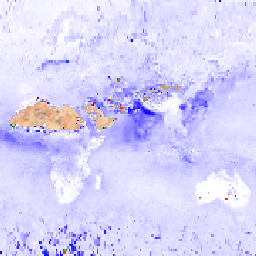 Calibration coefficients are extracted from the image metadata. 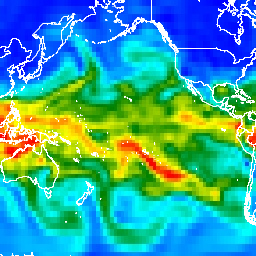 See Chander et al. 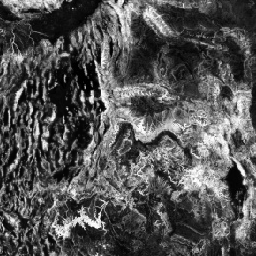 (2009) for details on the TOA computation. 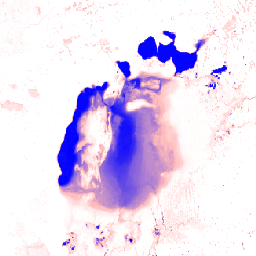 Landsat 7 Collection 1 Tier 1 calibrated top-of-atmosphere (TOA) reflectance. 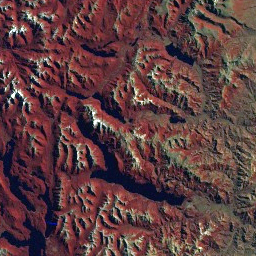 Calibration coefficients are extracted from the image metadata. 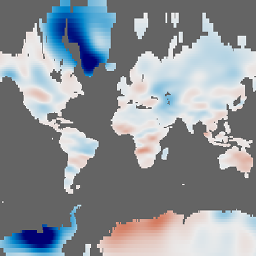 See Chander et al. 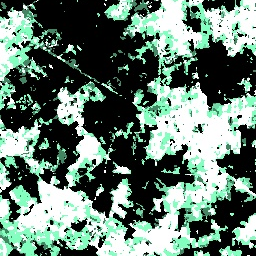 (2009) for details on the TOA computation. 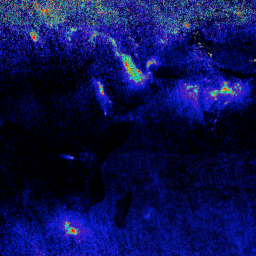 Landsat 7 Collection 1 Tier 2 calibrated top-of-atmosphere (TOA) reflectance. 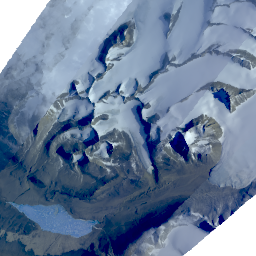 Calibration coefficients are extracted from the image metadata. 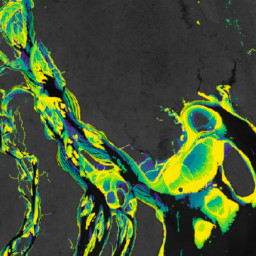 See Chander et al. 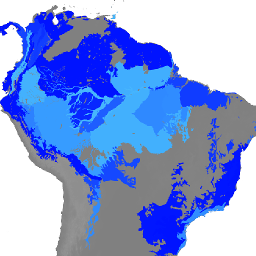 (2009) for details on the TOA computation. 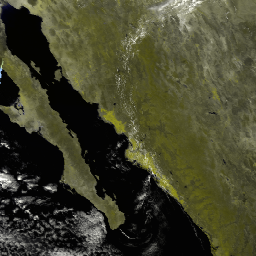 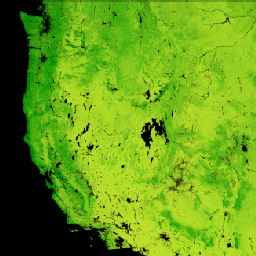 Landsat 4 TM Collection 1 Tier 1 calibrated top-of-atmosphere (TOA) reflectance. 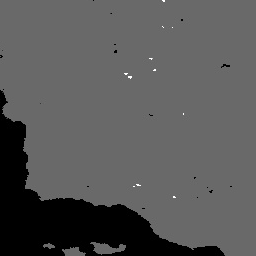 Calibration coefficients are extracted from the image metadata. 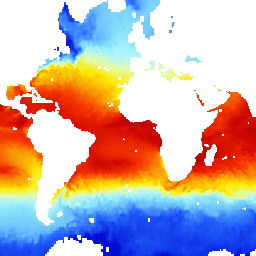 See Chander et al. 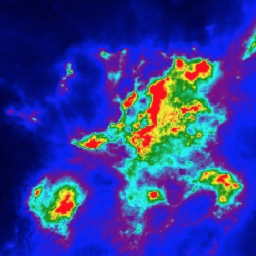 (2009) for details on the TOA computation. 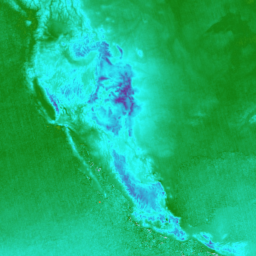 Landsat 4 TM Collection 1 Tier 2 calibrated top-of-atmosphere (TOA) reflectance. 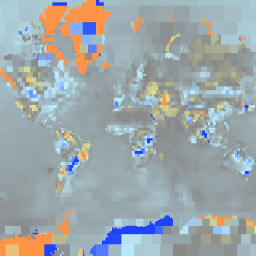 Calibration coefficients are extracted from the image metadata. 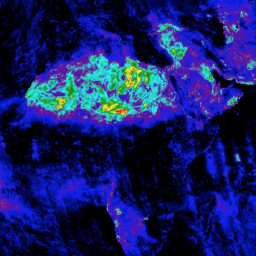 See Chander et al. 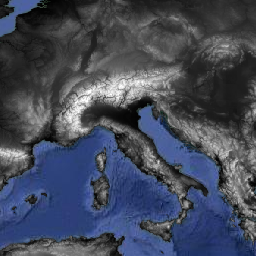 (2009) for details on the TOA computation. Landsat 5 TM Collection 1 Tier 1 calibrated top-of-atmosphere (TOA) reflectance. 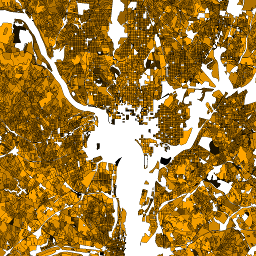 Calibration coefficients are extracted from the image metadata. 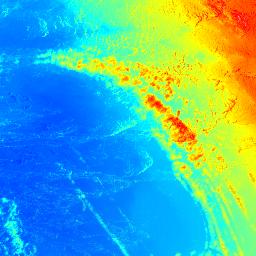 See Chander et al. 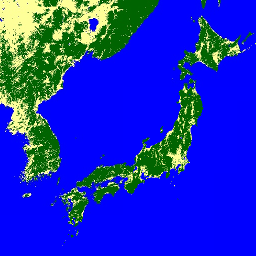 (2009) for details on the TOA computation. 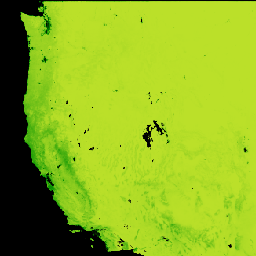 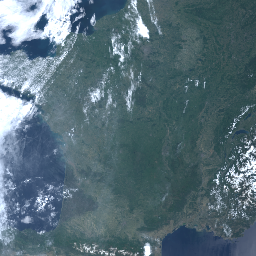 Landsat 5 TM Collection 1 Tier 2 calibrated top-of-atmosphere (TOA) reflectance. 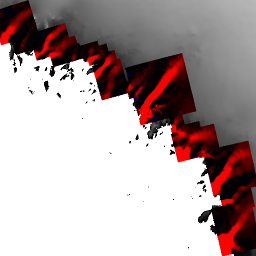 Calibration coefficients are extracted from the image metadata. 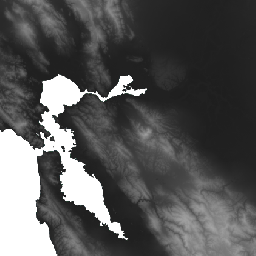 See Chander et al. 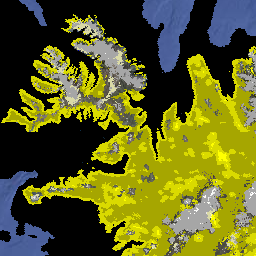 (2009) for details on the TOA computation. 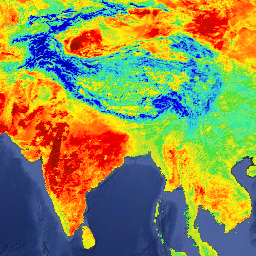 The MOD10A1 V6 Snow Cover Daily Global 500m product contains snow cover, snow albedo, fractional snow cover, and quality assessment (QA) data. 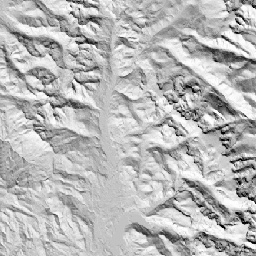 Snow cover data are based on a snow mapping algorithm that employs a Normalized Difference Snow Index (NDSI) and other criteria tests. 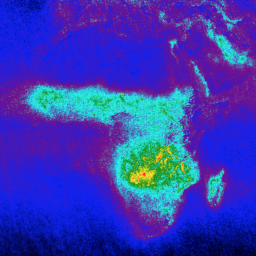 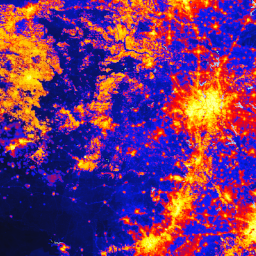 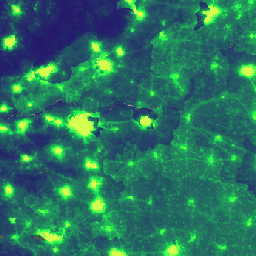 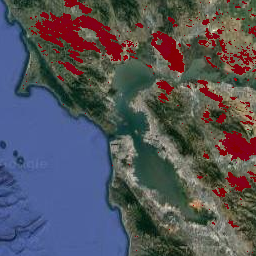 The MOD14A2 V6 dataset provides 8-day fire mask composites at 1km resolution. 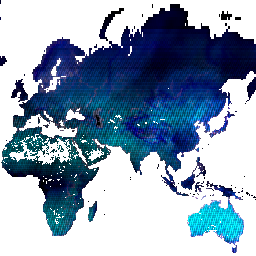 It contains the maximum value of the individual pixel classes over the compositing period. 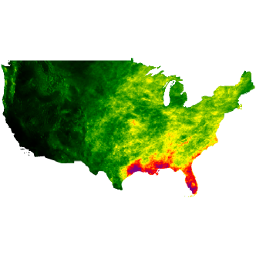 Along with the fire mask, an associated quality information layer is also provided. 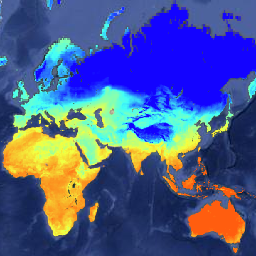 The MYD10A1 V6 Snow Cover Daily Global 500m product contains snow cover, snow albedo, fractional snow cover, and quality assessment (QA) data. 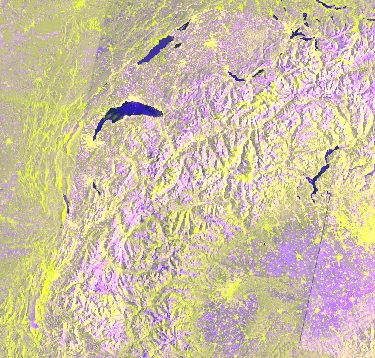 Snow cover data are based on a snow mapping algorithm that employs a Normalized Difference Snow Index (NDSI) and other criteria tests. 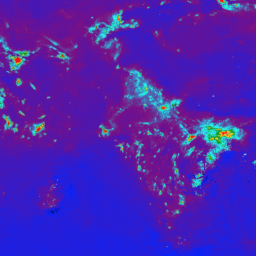 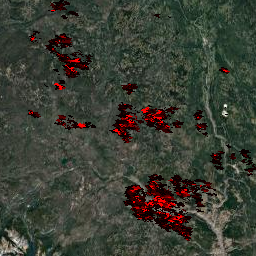 The MYD14A2 V6 dataset provides 8-day fire mask composites at 1km resolution. 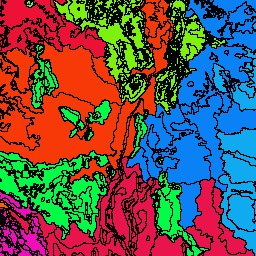 It contains the maximum value of the individual pixel classes over the compositing period. 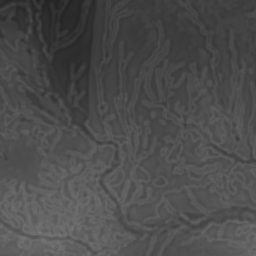 Along with the fire mask, an associated quality information layer is also provided. 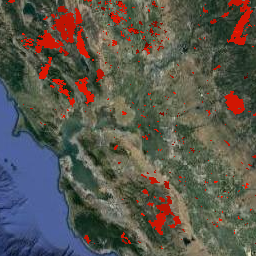 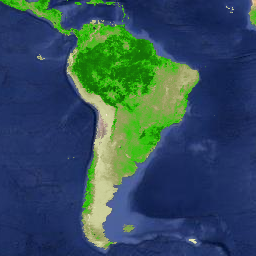 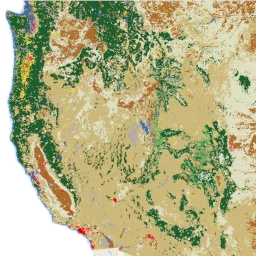 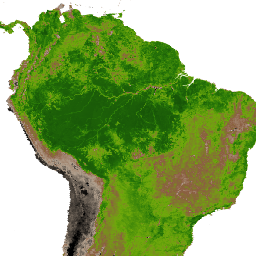 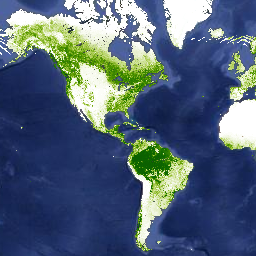 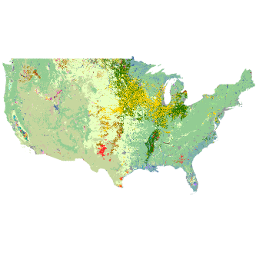 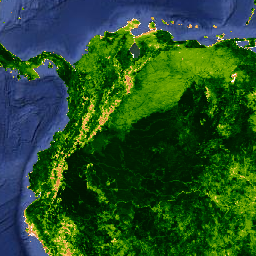 The MODIS Land Cover Type product provides data characterizing five global land cover classification systems. 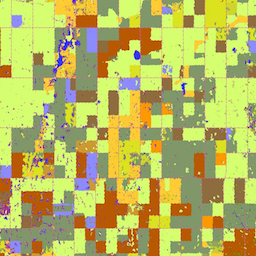 In addition, it provides a land cover type assessment, and quality control information. 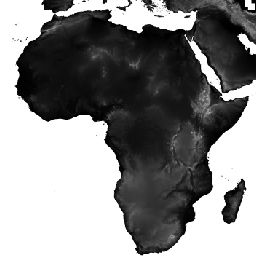 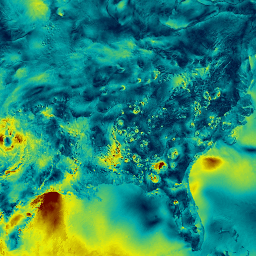 GIMMS NDVI is generated from several NOAA's AVHRR sensors for a global 1/12-degree lat/lon grid. 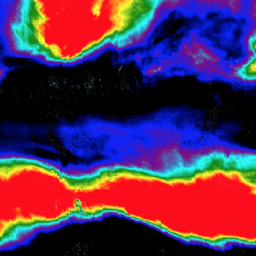 The latest version of the GIMMS NDVI dataset is named NDVI3g (third generation GIMMS NDVI from AVHRR sensors). 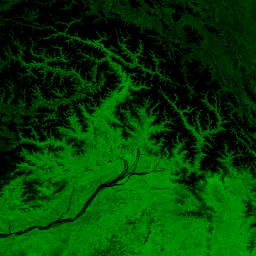 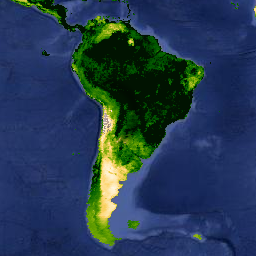 This dataset represents global tree heights based on a fusion of spaceborne-lidar data (2005) from the Geoscience Laser Altimeter System (GLAS) and ancillary geospatial data. 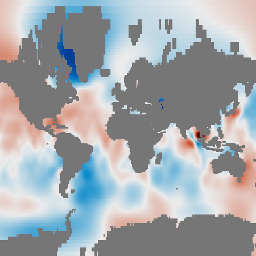 See Simard et al. 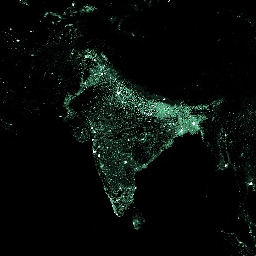 (2011) for details. 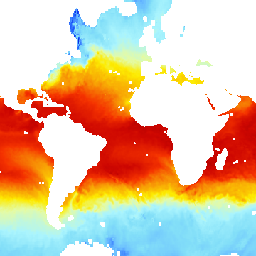 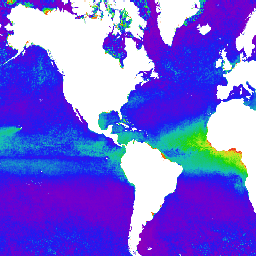 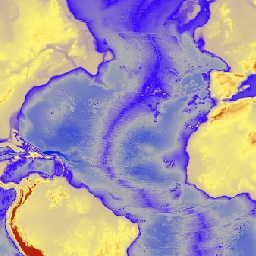 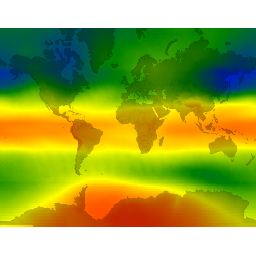 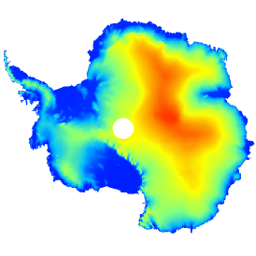 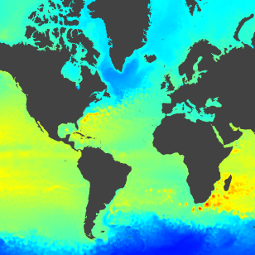 ETOPO1 is a 1 arc-minute global relief model of Earth's surface that integrates land topography and ocean bathymetry. 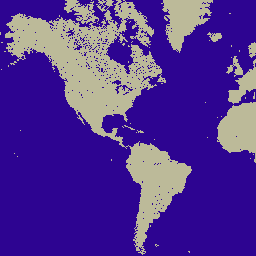 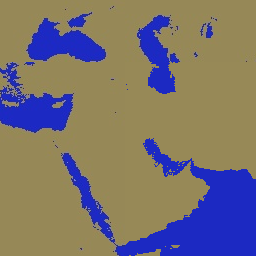 It was built from numerous global and regional data sets. 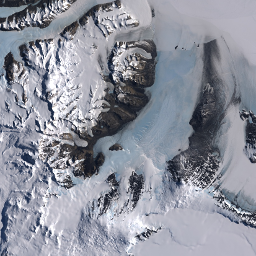 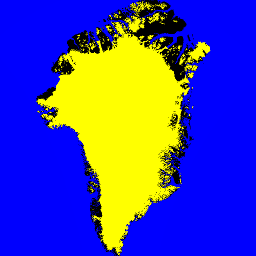 It contains two elevation bands: ice_surface and bedrock. 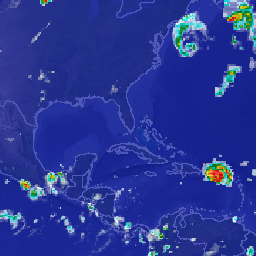 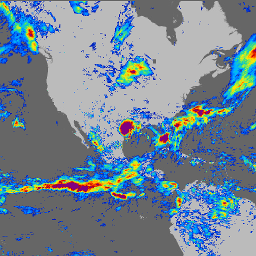 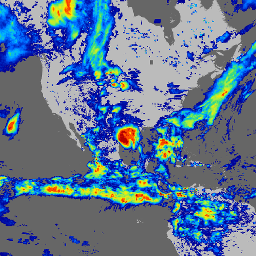 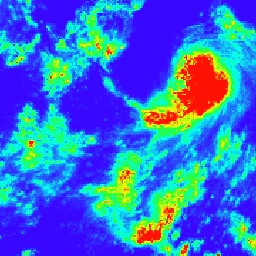 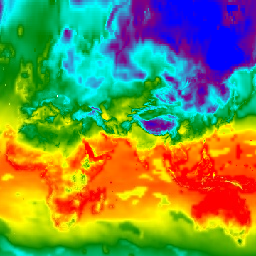 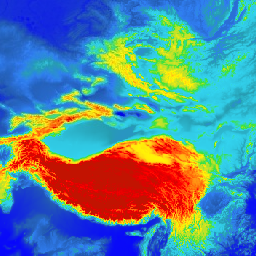 The Real-Time Mesoscale Analysis (RTMA) is a high-spatial and temporal resolution analysis for near-surface weather conditions. 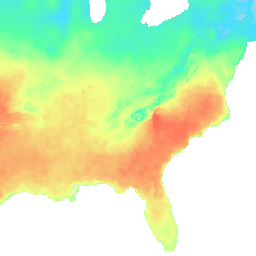 This dataset includes hourly analyses at 2.5 km for CONUS. 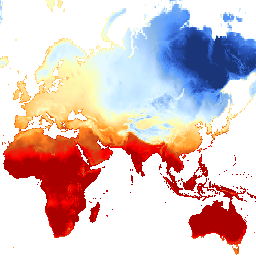 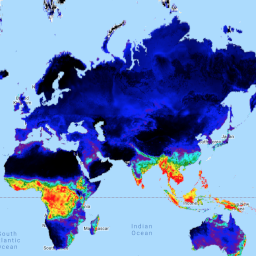 Climate Hazards Group InfraRed Precipitation with Station data (CHIRPS) is a 30+ year quasi-global rainfall dataset. 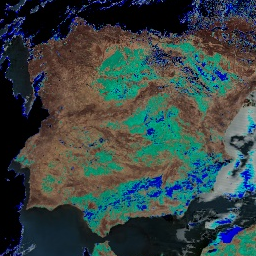 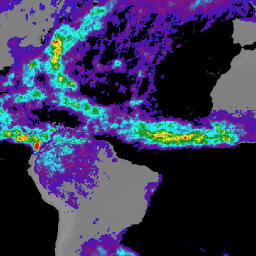 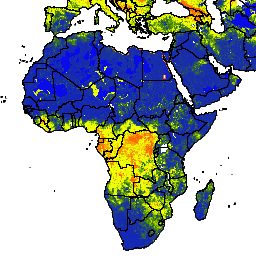 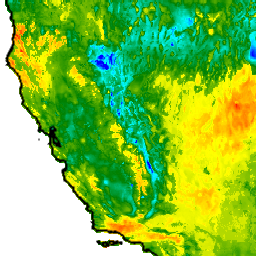 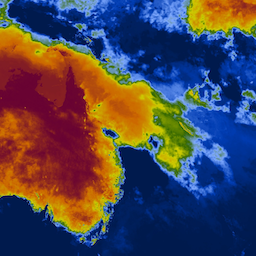 CHIRPS incorporates 0.05° resolution satellite imagery with in-situ station data to create gridded rainfall time series for trend analysis and seasonal drought monitoring. 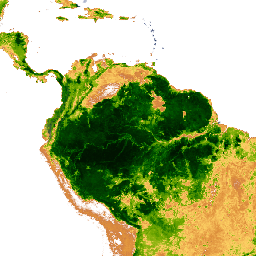 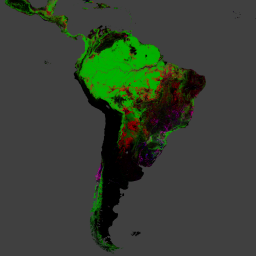 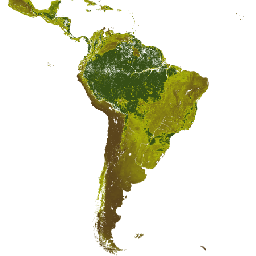 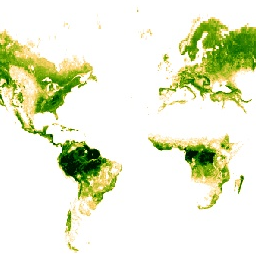 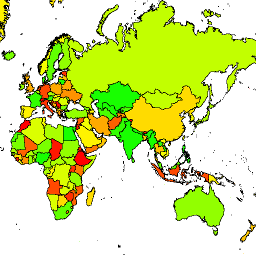 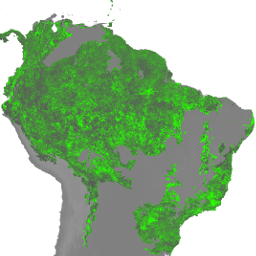 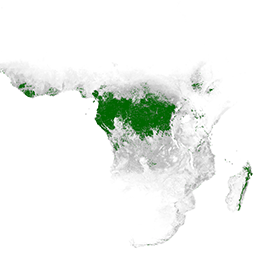 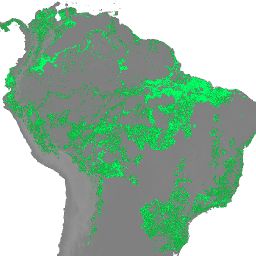 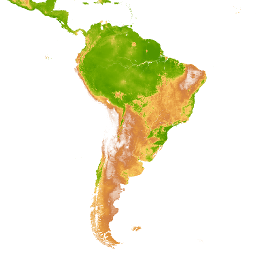 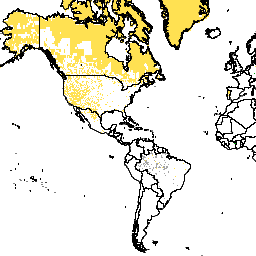 A national-level map of above-ground live woody biomass density for tropical countries at 500m. 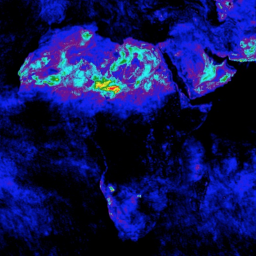 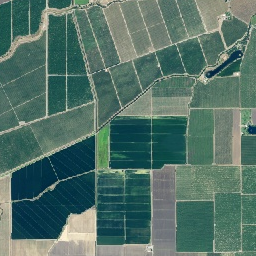 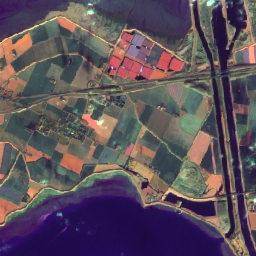 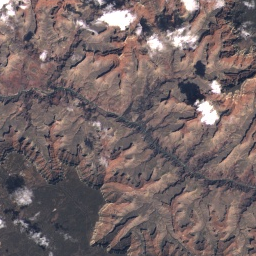 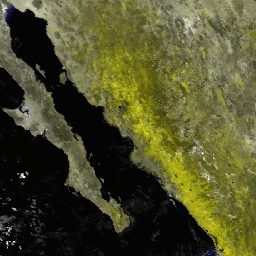 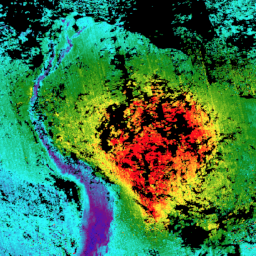 This dataset was assembled from a combination of co-located field measurements, LiDAR observations, and imagery recorded from the Moderate Resolution Imaging Spectroradiometer (MODIS).